Barack Obama announced a primary nuclear agreement had been reached with Iran today. Meanwhile, Iranian Foreign Minister Javad Zarif accused the Obama administration of misleading the American people and Congress in a fact sheet. The solutions are good for all, as they stand. There is no need to spin using "fact sheets" so early on. The solutions are good for all, as they stand. There is no need to spin using “fact sheets” so early on. 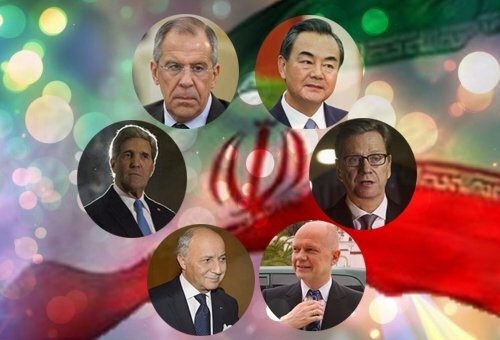 Iran/5+1 Statement: "US will cease the application of ALL nuclear-related secondary economic and financial sanctions." Is this gradual? Iran/5+1 Statement: “US will cease the application of ALL nuclear-related secondary economic and financial sanctions.” Is this gradual? Iran/P5+1 Statement: "The EU will TERMINATE the implementation of ALL nuclear-related economic and financial sanctions". How about this? Iran/P5+1 Statement: “The EU will TERMINATE the implementation of ALL nuclear-related economic and financial sanctions”. How about this? The last time Zarif accused the Obama administration of lying on a factsheet was after the JPOA was announced, in the context of granting a “right to enrich.” Zarif was 100% right and the Americans were 100% wrong.